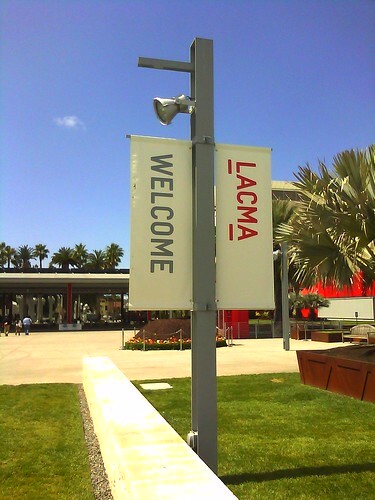 On Sunday I visited LACMA for the Tim Burton exhibit. It was my first time there and I will likely go visit the museum again for three reasons. 1) I was inspired to create while I was there. 2) There was more to see than what I saw that day and they will have new things to see throughout the year as well. 3) It’s free to visit now that I am a member. 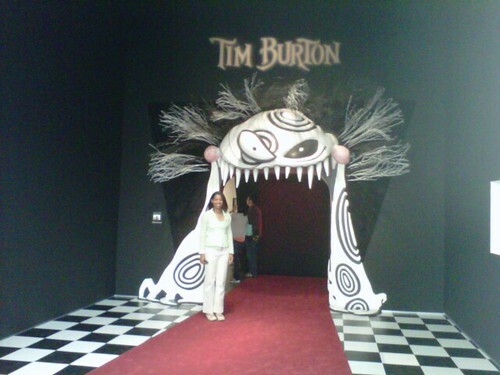 The thing that really inspired me was seeing how much artwork Tim Burton has created over the past 30 years or so. This is me at the entrance. They didn’t allow photography inside. A prolific body of work already and he’s continually creating more. A lot of it is dark and morbid and likely stems from his not fitting in while growing up. Overall, fascinating art with lots of detail. Not only did Tim Burton create and style a host of unique characters for tons of movies, he designed costumes for Batman, animated several short films, authored a few books. However, he did NOT have anything to do with the movie, Coraline, which is why I didn’t see any creative material for it anywhere. Today, I went on a long ~20 mile ride in Griffith Park starting from the LA Zoo. There was an intense mountain climb (1400 ft of climbing according to someone’s smartphone app) followed by a brake-gripping downhill zoom past the Greek Theatre down to Los Feliz Blvd. for a street ride with car traffic, and then a casual stint along the LA River Bike path that surprisingly had moving vehicles on it too (in preparation for the 2011 LA River Bike Ride). As this was my first ride in a couple of months it reminded me that I need to do regular rides or else each one I do will end up giving me the soreness of a swift kick to the bum! Bike riding aside, it’s been a pretty successful week in terms of training, with over 7 miles of running. I have 6 weeks until my Strawberry Fields Triathlon and I plan to incorporate swimming regularly in the next month. I have confidence that I will be ready by mid-July, unlike last year when I was not ready until the gun went off. That’s okay because, well, is anyone really ready for their first triathlon? Here’s to another week of challenges, and I hope not too much soreness in the next 48 hours.